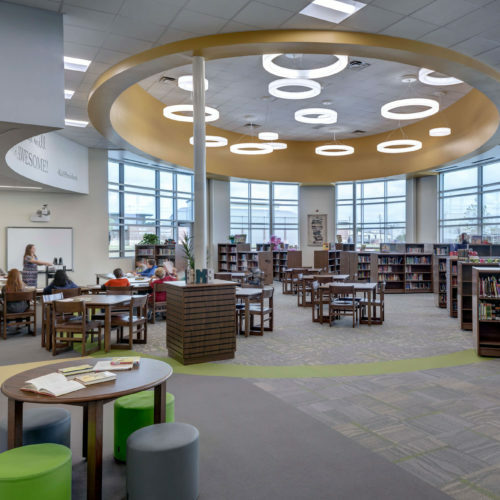 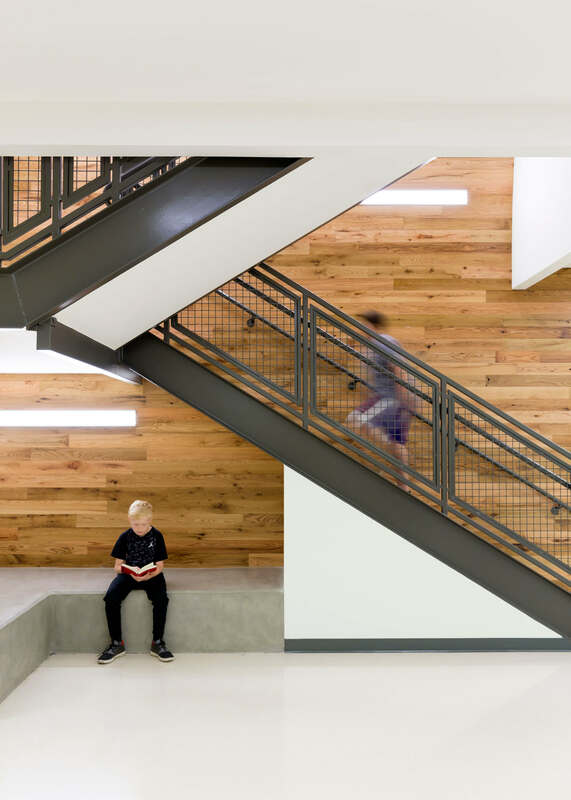 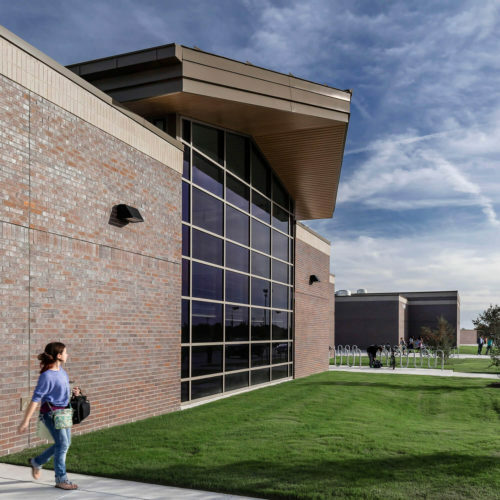 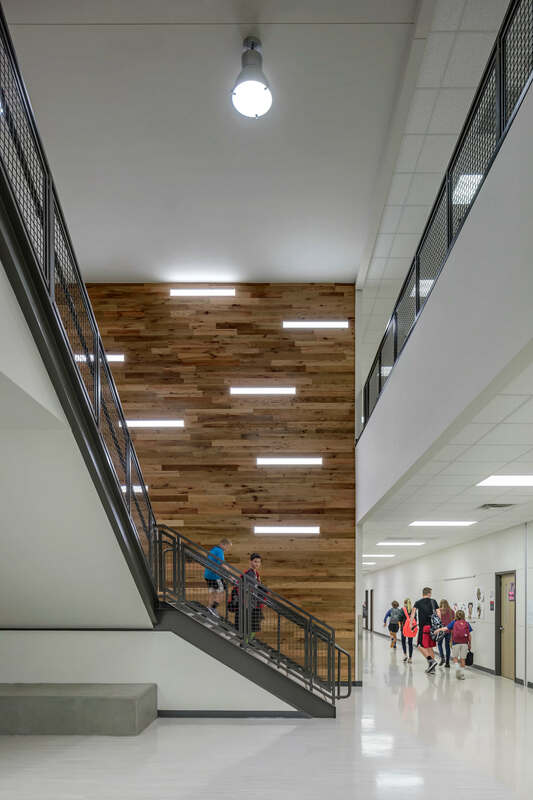 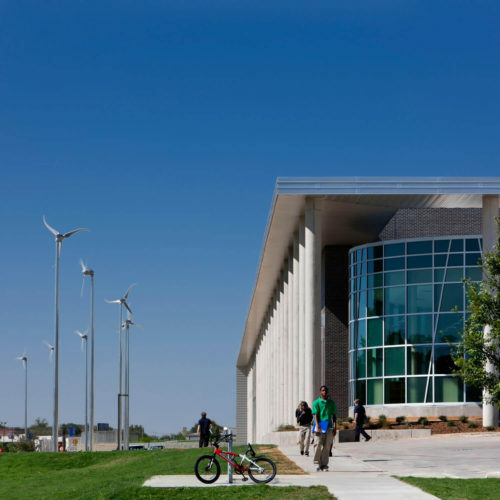 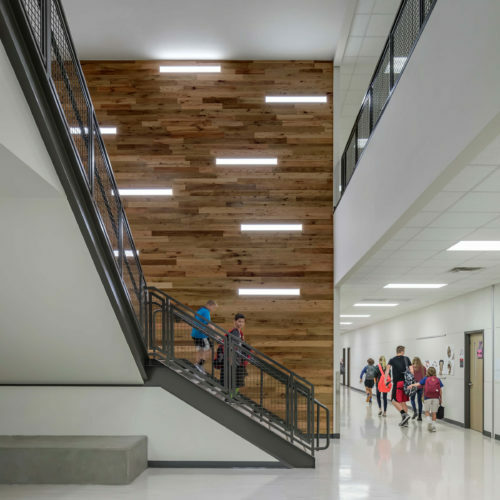 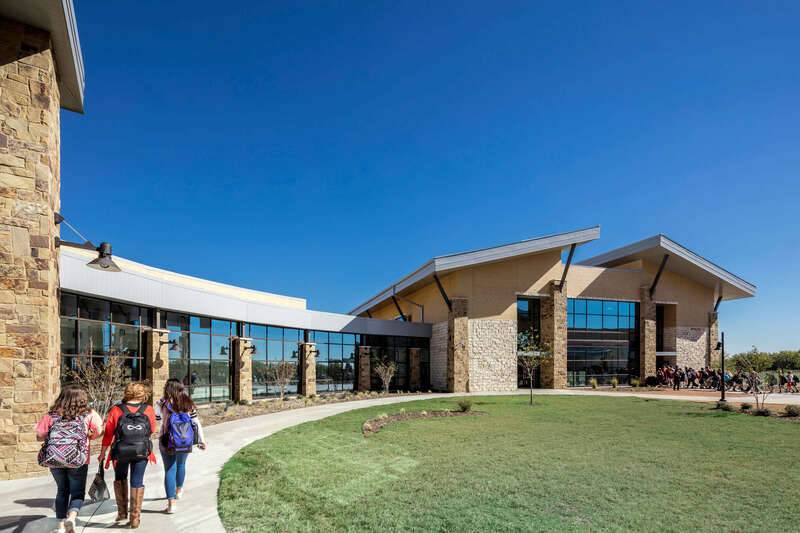 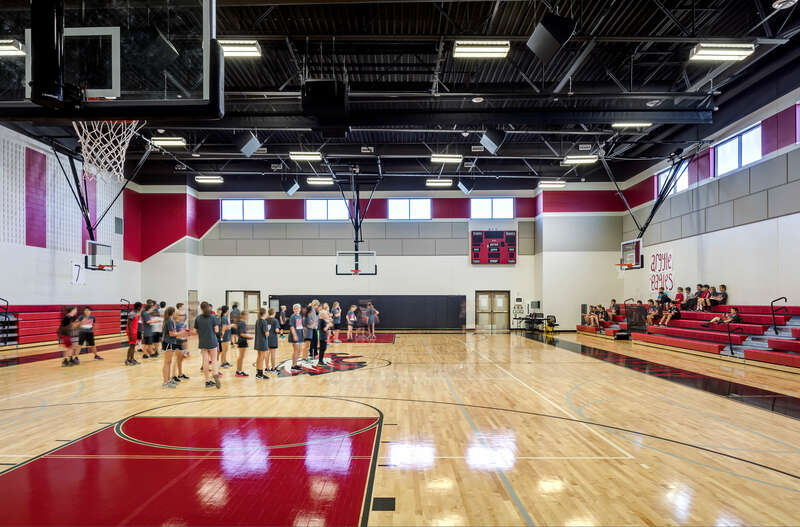 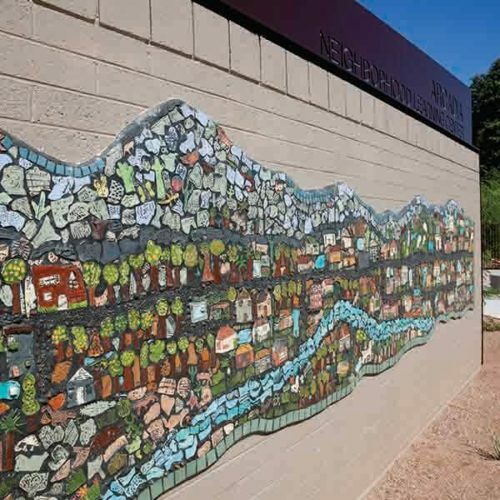 A new middle school designed to accommodate 1,000 sixth through eighth grade students. 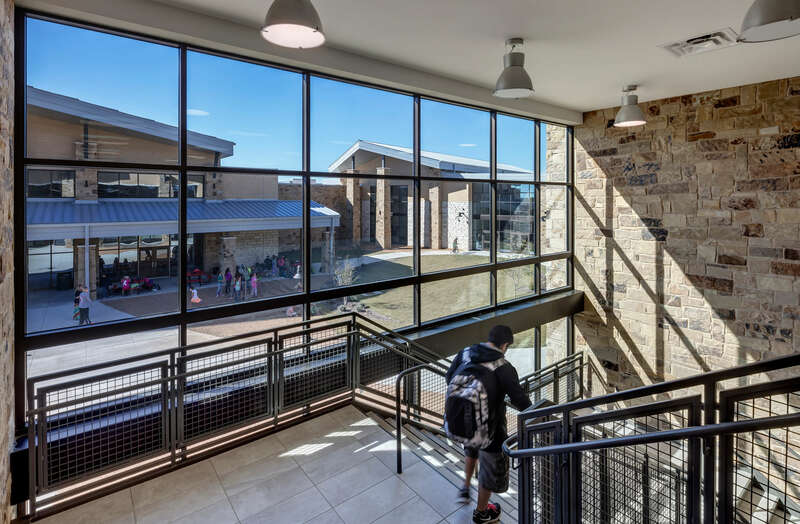 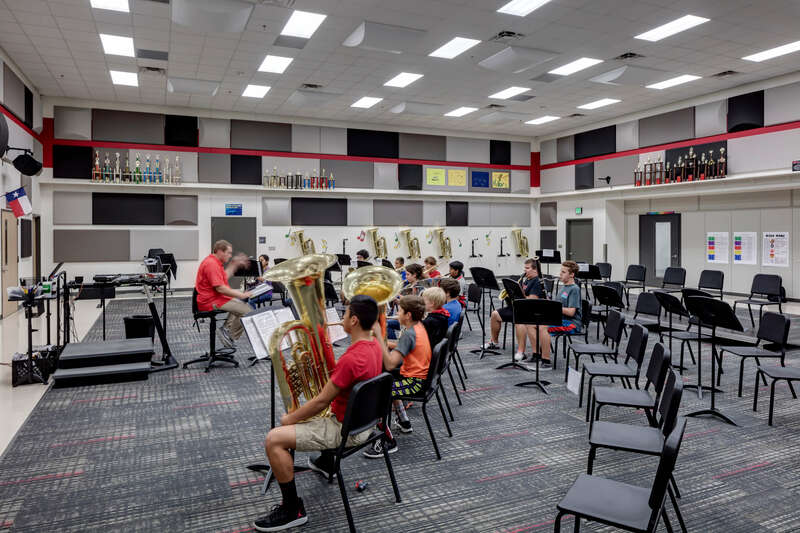 The middle school is designed as phase one of the district’s new high school with a phased growth into a 2,500 student high school. 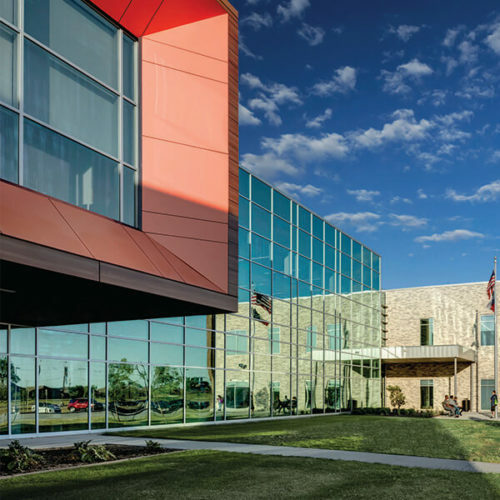 The building vernacular highlights a style in direct relationship with the community and surrounding site. 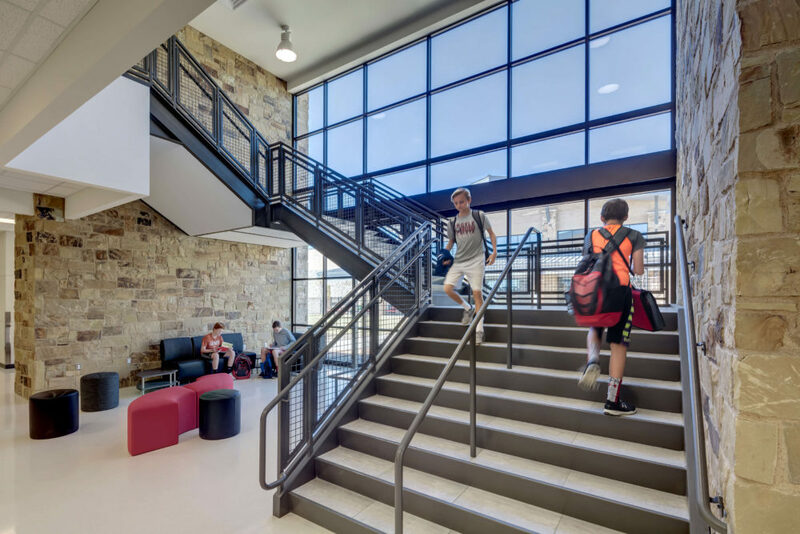 All spaces are oriented around a communal courtyard to maximize interior to exterior light and circulation. 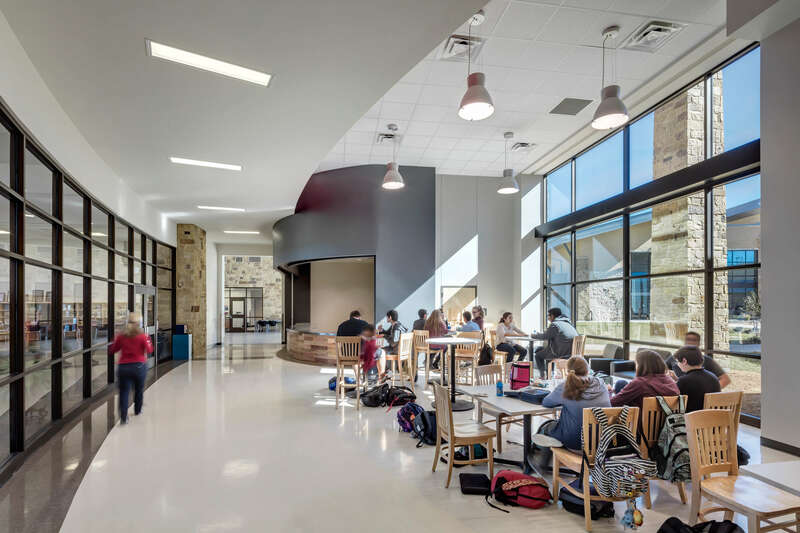 The school is designed for ease of expansion and flexibility due to the rapid growth of the client and community.